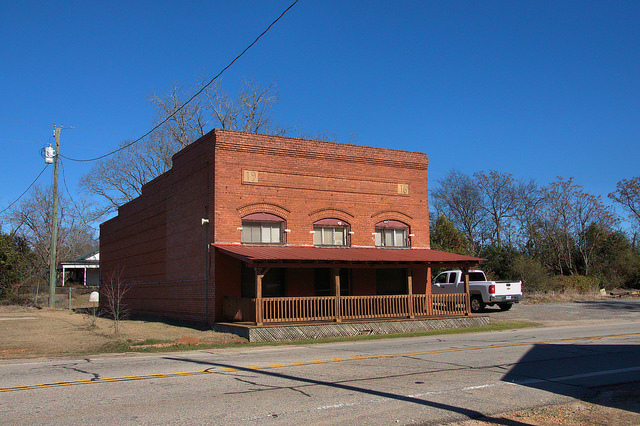 Grange was a large enough community at one time to have its own school but today it’s so forgotten that a Google search will send you straight to LaGrange, in West Georgia. The building above has been nicely restored and is dated 1916. Larry Sheppard writes: The old red brick store was owned by a man named Johnny Jones. I knew it as Johnny Jones Store. My family owns land nearby. Spent many a fall day hunting in the area and going to the store which still operated in the 60″s and I think till the 70″s. Johnny had a son and daughter I believe. I think the family still owns the store. His son, John Amos “Spike” Jones was a punter at UGA and went on to play in pro football. 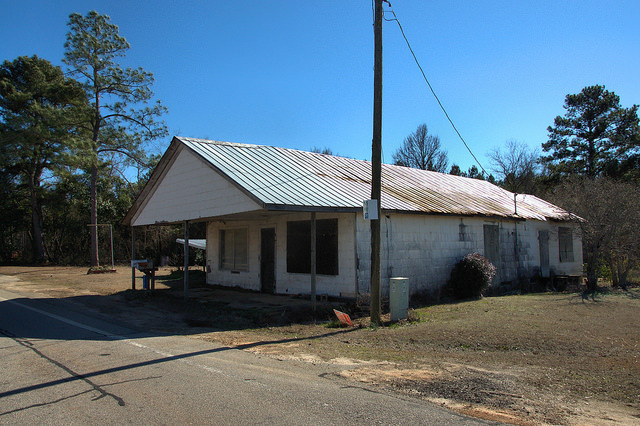 Below is a country store that appears to be a bit later, perhaps mid-20th-century.